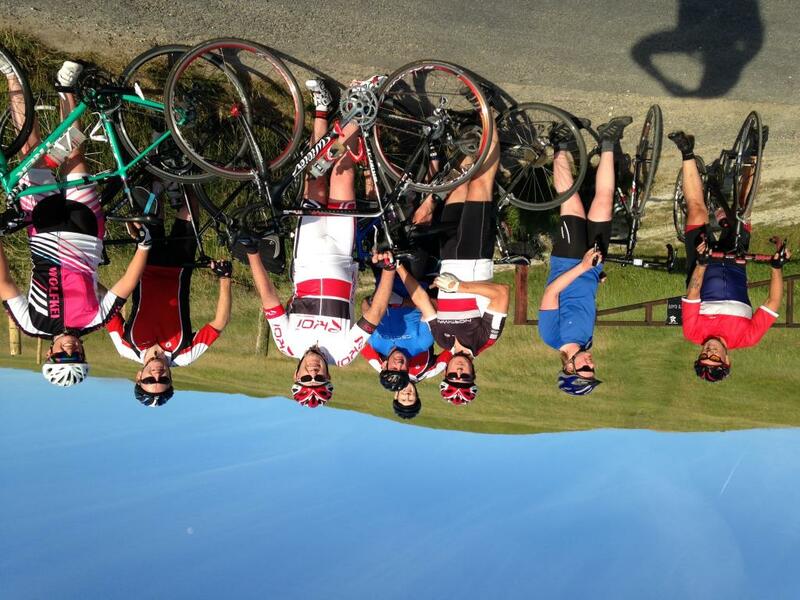 Mostly flat ride with one hill... White Horse Hill. 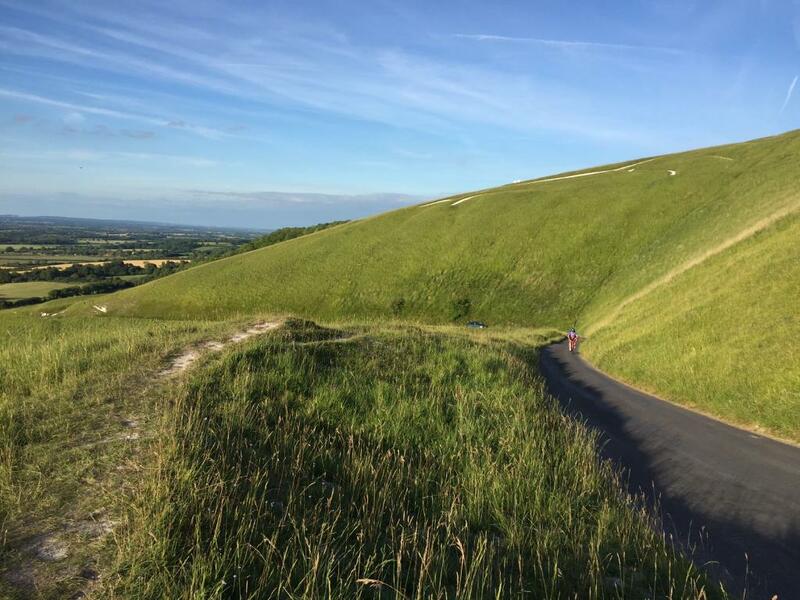 An ideal evening for an excursion to White Horse Hill; beautiful sunshine and a light refreshing breeze. As is often the case with summer Tuesday rides, 3* proved the most popular, with numbers swelling to twenty. Thankfully, Jon was happy to lead half the ride, a few minutes after the others had set off. Everyone seemed to stay together quite happily, at a fairly brisk pace, on the flat sections of the ride. We caught, and passed the 2* group, who were heading to the same hill via a different route. Each climbed dragon Hill at their own pace, and we gathered at the top, to take in the view. After catching our breath, and taking the usual team photos, we set off on the homeward leg, just as some of the riders from the 2* and other 3* groups were joining us. The descents into the vale, and the subsequent flat return, were again taken at no more than a top end 3* pace (honest). This was obviously too slow for some, though, as the leader was last to return to OMH. Welcome to Neil, on his first ride with us, and thanks to David S for sweeping the lead group.